It is very common nowadays to see parents getting frustrated with their children when all they do is play video games all day. It is becoming a distraction from school work, daily lives, and maintaining social connections. The gaming business is growing at an exponential rate. “The Entertainment Software Association estimates that in the United States, 58% of the population owns a gaming console. In 2013, the video game market totaled $93 billion in revenue and is projected to reach $111 billion by 2015” (Psychiatric Annals, 379). There is more and more gaming systems produced every day. Last year alone 2 new gaming systems were manufactured and the chaotic experience when trying to buy one during the holidays was extreme. There are websites made specifically to help people decide what gaming system to buy for the holidays. 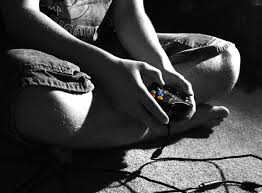 Gaming addiction causes families a lot of distress and professional help is often needed. If you notice these symptoms in anyone you know, help is available around and seek advice and counseling for the child. The earlier it is stopped, the less severe it may become.